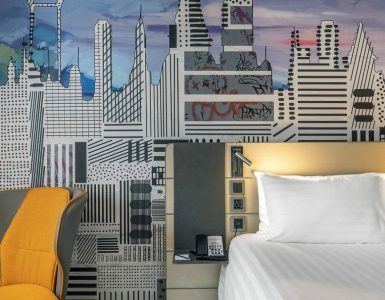 The 35 Square-metre Deluxe Corner room with Queen bed and living area, offers comfort and convenience for up to 2 adults and 2 children at the heart of this Bangkok Hotel. Our Deluxe room follows the new N’Room concept, the first of its kind in Thailand. 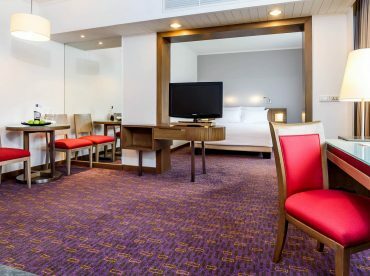 The room features wooden floors, adaptable seating, living area with Sofa and table, two 55″ smart TV’s, rain shower, connectivity panel, Free Wi-Fi and brand new design.